A general purpose RS232 to RS422 or RS485 isolated converter which contains a microprocessor which enables and disables the RS485 driver according to the presence of RS232 data. 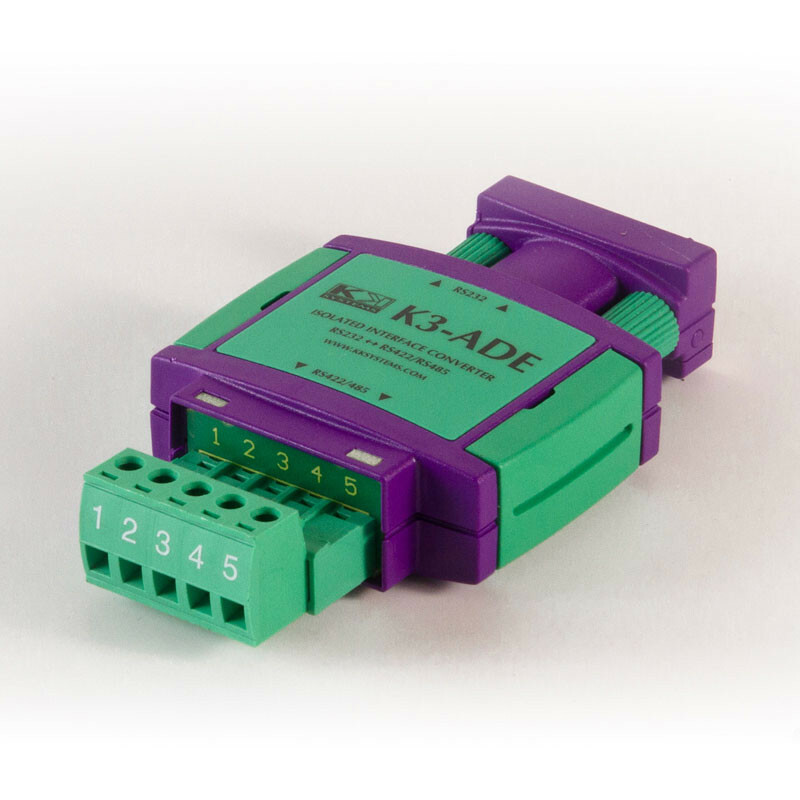 The K3-ADE-TB is intended for 2-wire RS485 applications. It is also suitable for 4-wire RS485 applications where the K3-ADE-TB is on the Slave device. The ADE function can be disabled, to operate as the K3-TB RS232 to RS422 converter. Do not confuse the K3-ADE-TB with imitations which claim to be self-powered but which in fact require power to be supplied to both sides of the converter, or which require about 40mA - far too much for any PC interface to supply.